What can I say? I’m a sucker for zombies and zombie related games. So, it didn’t really take me long to go from demo to purchase. 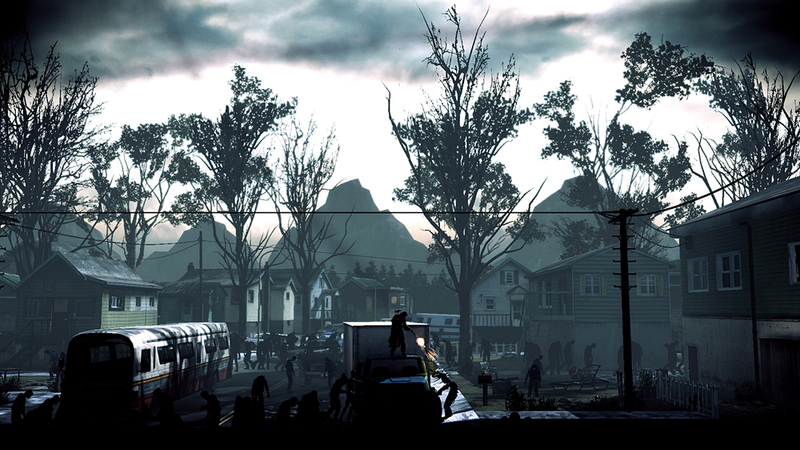 Tequila Works brings us another zombie apocalypse game to add into the genre. So how’s it stack up? Well, let’s get to it. It’s 1986, and in a world that will never know grunge, the dead now walk the earth. A strange plague has swept the world, turning the victims into mindless shambling shadows which anyone else could readily ID as your garden variety zombie. In Seattle, a small group of survivors is disbanded when tragedy strikes and they lose one of their own while drawing the attention of a ravening pack of shadows. Thus begins a Shadow Complex styled, side-scrolling, zombie-evading adventure. 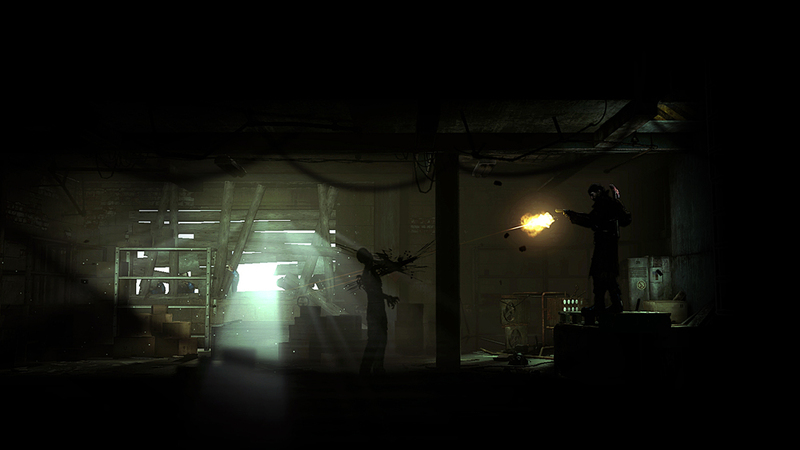 The very first thing you’re going to notice about Deadlight is that the graphics are amazing. I don’t think anyone is going to be able to argue that. These guys obviously sank a ton of time into making lighting and atmosphere count for something. 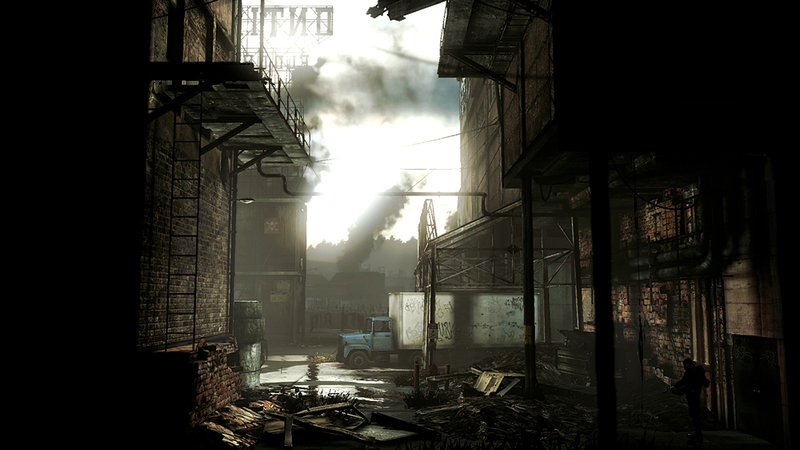 As a designer by training, it’s easy for me to get lost in the visuals of Deadlight. The guys at Tequila Work got a good team for this one. Everything from the cutscenes to the environments to the character designs and animations are drop-dead gorgeous. Pre-grunge Seattle looked like the zombie apocalypse already. Come to think of it, so did post-grunge. Since the game is set in an alternate 1980’s, all the achievements are either titles or memorable lyric snippets from songs of the era. I particularly enjoyed it when I got the ‘Never Gonna Give You Up’ achievement. While I imagine that for a good portion of our readership, it’s just another fun way to get Rick Rolled, for folks of my – ahem – worldly experienced demographic (read: anyone born in the 70’s) it’s kind of awesome. There are also collectible mini-games based on the old LCD handheld units anyone who grew up in the 80’s would remember. It was a nice touch – though admittedly, I forgot I even unlocked them until after playing the game through. Oh. And, it has zombies. That’s pretty cool too. Goddammit, look at all these Motley Crue fans! Get my gun! Lastly, it’s yet another game that really emphasizes running. When outnumbered and outgunned and running critically low on ammo (see above image), wading into a horde of undead automatons with an axe means you die. Messily. Your primary weapons in dispatching the undead are yelling and whistling to distract and corral them, and then jumping and running like hell to escape them. Combat is brutal and tends to involve you getting mobbed, dragged to the ground and dismembered. So, adrenaline junkies are gonna want to sit this one out. This is all about the better part of valor. Which, if you hadn’t checked lately, is keeping your internal organs, you know… internal. I wish I had more for you. Because, at its core, this game was disappointing on the whole. It had a lot of little touches that were great… but that added up to a lackluster entry. Now, I’d like to note that the gameplay is not bad per se. It’s entertaining, but certainly nothing original. If you played Rush’n Attack’s reboot or the aforementioned Shadow Complex, congratulations: you’ve played this game, and yeah, credit where credit’s due: the predecessors were pretty good games. Likewise, this was no different in terms of gameplay – mostly (more on this in a bit). If you like this type of play, the game will deliver a similar experience. However, when I pay $15 for a game (or 1,200 MS points), goddammit, that game should not go from zero to finished in four hours. I will admit that I can be like a dog with a bone when it comes to video games, and I did obsess pretty hard here, I am not one of those kids who can finish Super Mario Brothers in eight minutes. I am not some wunderkind that cleverly deduces games and manages a tour de force shock and awe playthrough. I play games to have fun, so I tend to also take my time. 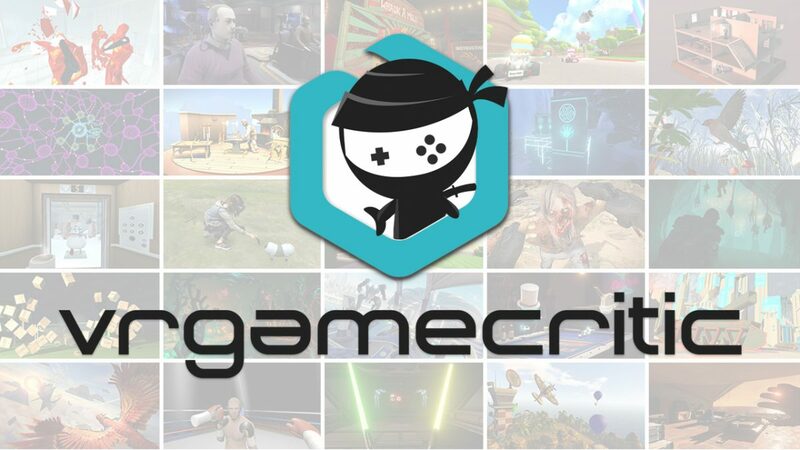 To enjoy a game, I’ll peel back the layers and enjoy it. And when I plunk some money down on the counter, I hope to get some playtime for my duckets. I expect to spend a lot more time than four hours. This game costs way too much for the length of time you’ll be playing it, and to be honest, I’m not seeing a lot of replay value here. That’s the bottom line here, so buyer beware. If you like pretty, this game will give you that. For exactly four hours. Other smaller, yet no less legitimate, gripes are that the controls are kind of frustrating. This is the kind of game where you can just simply be a little off and – oh, look at that – you’re impaled on spikes. Again. No, seriously. There were parts where I simply was working like a raptor in Jurassic Park testing the fences, trying to find a way around the obstacles after repeatedly wiping the blood off of myself from the last attempt at navigating the surprisingly perilous suburbs of Seattle. It could get really frustrating. Thankfully, since the game wasn’t too long, I didn’t have to spend too much time frustrated. There were only two spots I got particular hung up on. Which means that the frustration added an hour of playtime – making this more of a three-hour game. There’s a Nirvana reunion joke in here somewhere that I’m not going to make. Unless of course I just did. Oh, and, then there was the ending. I don’t want to say anything, but… they really could have done better. Much better. I’m generously giving this game a three stick rating – mostly because I’m a fan of 80’s stuff, zombies, and really, really striking game environments. But the game falls flat on playtime and at times the controls could prompt rage quit in a lesser man. I’d steer clear on this one unless you truly have a mad on for this type of game in terms of genre or playstyle. For 1,200 MS points, you can get a lot better games. 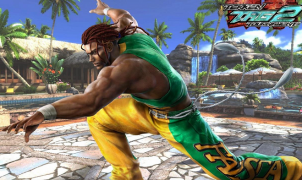 Available on: Xbox 360 (reviewed) ; Publisher: Microsoft Studios ; Developer: Tequila Works; Release Date: August 1, 2012 ; ESRB: M for Mature ; MSRP: 1,200 Microsoft Points. 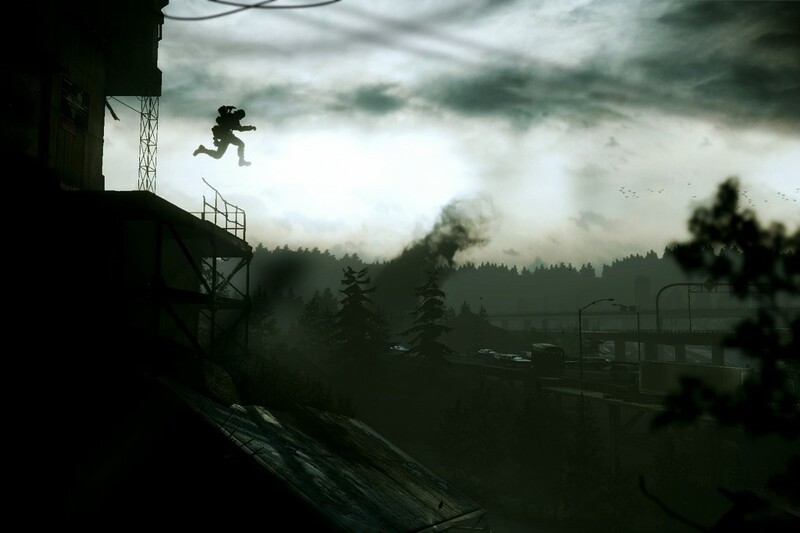 Full disclosure: This review is based on a copy of Deadlight purchased by Hey Poor Player.